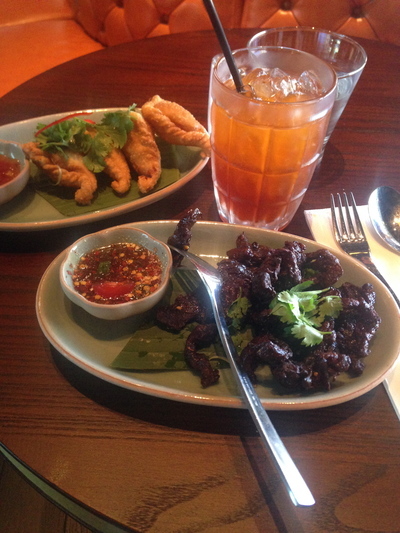 Authentic Thai food is to be enjoyed in Sydney, whether you're a pad thai or a strong curry eater. New Thai restaurants are emerging, and at times, it can feel like a free trip to Thailand is enjoyed. On this, where is the best Thai restaurant in Sydney? If you want an authentic Thai experience, Muum Maam in Sully Hills is the place to go. The chef is from Thailand, and his experience is reflected in the menu. The food is top quality and the flavours are complex and delicious. Also, Chat Thai is a reputable chain of Thai food restaurants and for good reason to! The menu is considerably long and the food is always excellent. House on Elizabeth Street in Surry Hills is pretty good, and I absolutely love Spice I Am (which is just around the corner from them). Chat Thai is a good take away option as well. Without a doubt the best Thai Food in Sydney is The Wok Bar in Dee Why on the Northern Beaches. The Wok Bar is cheap and the value for what you pay is amazing, we always wind up with too much food! In the north western suburbs Pent Thai on Oxford Street Epping. It's a white tablecloth candlelit style of restaurant without the outrageous prices that usually come with that sort of atmosphere. The ingredients are always fresh and the service is always prompt. It is a very popular place and so can be a little on the noisy side, so maybe not the best for a 1st date ;) Every person I have ever taken there has loved it! Bangkok Bites, Bondi Beach. Come off the golden sands of Bondi Beach straight into what seems like Bangkok heaven. Authentic waitressing and the best thai in Sydney. Thai Spice House in Cremorne has amazing food and really friendly staff. They also have an extensive gluten free menu (are one of the few places I've ever come across that does gluten free salt and pepper squid) and come recommended from the Coeliac Society. Big Boy Thai in Stenley Street, Darlinghurst. Yummy! Satang Thai is a place right near Central Station and it's delicious. They have two places across the road from each other and one place is a sit down restaurant and the other is just takeaway place, same food in both places and super yummy!